Congratulations! Welcome to one of the most incredible times in your life! Simply said, I want to elevate your Engagement! I love the importance of designing moments that last a lifetime + curating the celebration that you have always dreamed of. This is a personal collaboration and my goal is to bring the best part of wedding planning to you and your fiancé! Your engagement only last so long, enjoy the journey to 'I DO' from beginning to end with PLAN PREP PARTY. I will support you through the planning process and create a truly authentic experience for you, your fiancé and those closest to you. When it came time to decide our ceremony music it was an ideal scenario. I made my husband say first what song he wanted to walk down the aisle to and he immediately said he didn’t know, but definitely Bob Marley. I was instantly overwhelmed with how perfect his answer was. Instead of story time when I was little, my dad would sing each of my siblings and I a song. Mine was Three Little Birds by Bob Marley. I knew I always wanted my dad to walk me down the aisle to our song. My husband is originally from Guadalajara, so we added a special twist with having his song in Spanish. Our recessional song was a no-brainer and was the perfect musical end to our ceremony! Jessica is AMAZING!!!! Without her, I truly don't believe that my wedding would have been the same. From the first time I spoke with her on the phone, I knew that I had selected the right person for the job. She suggested the best donuts for our dessert table that I would've never even found, along with our table lines and chairs that we rented for the reception. She was always so gracious and answered all of my texts, regardless of how silly or ridiculous I may have thought it was. I was planning my wedding from out of state, so having someone actually in San Diego to help me was a lifesaver. I've already thanked her a million times, but I truly believe that she is the epitome of a wedding planner/coordinator. If you haven't already, message her IMMEDIATELY and BOOK HER IMMEDIATELY. You will not regret it! Jessica was referred to me by a close friend that works in the bridal industry so I immediately knew she would be a great coordinator. I plan athletic events for a living and originally thought I would just need a day of coordinator. I was totally wrong. The assistance she provided me with handling all the vendors was worth every penny. Not to mention her management onsite was calm, smooth and incredibly comforting for my husband and I. In a matter of 3 months, we planned a 200 person outdoor wedding in a venue that had never done a wedding before and it went off without a hitch. Jessica does a brilliant job with all the tiny details and I would recommend her to anyone. Booking Jessica as our day of coordinator was a great decision! She was nothing short of essential in getting those final details in place. When we originally met Jessica we were all over the place in terms of our vision for the day - after chatting with her for just a little she was able to take those random thoughts and ideas I had and turn them into reality, making stressful wedding planning a little less stressful! She was responsive, attentive, and so so sweet. 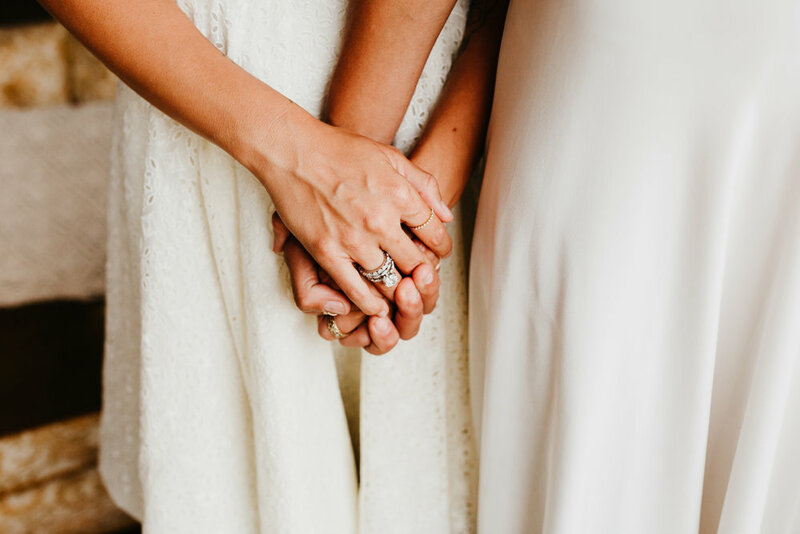 I highly recommend Jessica to anyone who needs that extra set of hands during wedding planning! Thanks Jessica!!! Jessica went above and beyond to give us such a special weekend. I originally hired her to handle the saturday events only and after a few months of planning we easily decided she should take over our entire wedding weekend. Jess was in charge of A-Z for our rehearsal, welcome party, wedding day and Sunday breakfast. Even though she was so busy she still made time to speak to me when i was feeling anxious or uncertain about some planning elements. I didn’t understand the hype around getting a planner but WOW did it make every difference!!! I didn’t have to worry about a thing all weekend long and Jess did an incredible job of running the show and dealing with all the vendors. There was a payment mixup with our main vendor and they were chasing me and my mom down, AT THE WELCOME PARTY!?! If they had actually bothered me during the event i would have been furious but Jess stepped in like a boss and handled everything without having to involve me. I didn’t even know about the mishap until after the event which is how it should be! Jess did what she had to do to make sure we enjoyed our evening. I would hire her again in a heartbeat and give her SIX stars if I could!!! Thank you Jess for giving us such magical wedding memories!! Design, Styling, Planning and Coordination. A customized, all-inclusive approach to your wedding. Couples looking for the ultimate organizer and an expert Wedding Planner to partner with, but who still want a major role in the best parts of wedding planning. Coordination of your celebration: rehearsal, ceremony and reception. We CELEBRATE everything! Connect with us personally to create a customized package for your special occasion and social events! Thank you! Looking forward to Celebrating with you!